A few days ago someone walked into the room and the fluorescent ray struck his eyes grey. His expressions were like mine when O’level Chemistry caught me in 2007, confused. It seemed to me that he had puzzling thoughts rattling within him until he stretched his hand and someone pulled him gently as he felt around for barriers, his eyes still grey and speaking to the fluorescent. He sat and I christened him Alaireh, after a princess with ninety hand maids (human and non-human). I was at the last row in the room the farthest one from him. And I thought it an interesting week. I watched as more people walked into the room, and their stories, I was convinced, were destined to collide. I would be one of them, I thought. Alaireh sat quietly all through the lectures and did not catch my eyes again until he introduced himself as a member of a civil society group that cater for people with disabilities. Quietly I sat in his space the next day, in the front row, just before the projector screen. While it burned my eyes and made me uncomfortable, his eyes were squinted, he sat still too, ‘confused’. I left for farther away but I watched. For the rest of the week, I watched. I watched as several other Alairehs came alive and we all took turns being hand maids. I heard them tell stories of exotic lives of misunderstood ‘royalty’- struggles that only the Alairehs could understand. For the first time, I observed that the Alairehs walked differently, some of them did not take our stairs but seemed to teleport through invisible paths in the walls. The Alairehs, for a second, made me think of limbs and ‘perfect’ as burdensome. Alairehs did not have them but they tripled the accomplishments and distances that my dreams are yet to weave. The Alairehs, I was learning, were on a movement to be treated differently. 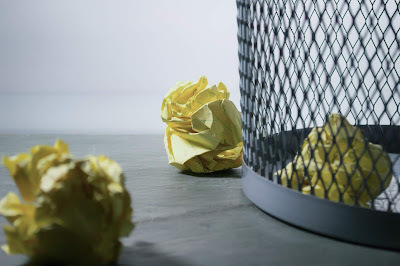 Not like static vegetables but phoenix flames with will that choose and chart to lead, not to be led anymore. By being in this room, I had been permitted to match as well, fortunately. And we are telling the world to make our classrooms and life paths level playing fields for everyone including Alairehs that need handmaids. In the course of the week, I observed my first Alaireh, like a hand-maid waiting to wait. I saw that what I thought confusion is the beauty of clashing sensations from everywhere but two eyes and an ear, sorting out neuro-files in a mind that never stops spinning. My first Alaireh, Silomo Khumalo, brilliant, beautiful also has the gentle laughter of a fourteen year old psalmist, and the body of a teenage robin hood. Whenever, he smiles, it is festival of suns and his lids shudder in response. When I was 15, I saw the movie ‘Dare Devil’. I recall that he was visually impaired, but fiercely superhuman. It seemed that when his door shut, his hundred windows blew open. The universe conspired to bestow him heightened sensitivities and sensualities. I cannot say that Silomo is Dare- Devil, he has come this far. He is greater. I waited all week to wait, and I took every chance I was given. This Alaireh, this royalty, this Silomo is now for me a fierce glare of the heights I can reach in spite of these wild seasons that may last forever while some never beginning- no matter how much we pray. That we are all Alairehs- impaired, disabled, gifted, heightened and royalty. In spite of these ‘gifts’ that mock us, yet can be trampled on, and made irrelevant enough to never stand in our way. Silomo Khumalo: A delegate at the Advanced Human Rights Course on Disability Rights in Africa, Centre for Human Rights, Faculty of Law, University of Pretoria, March 2016. We met here. 'a Students for Law and Social Justice Research Fellow at SECTION27. Silomo holds a Bachelor of Social Science degree with majors in Sociology and Legal Studies, a Bachelor of Laws and an Honours degree in Public Policy from the University of KwaZulu-Natal. During his time as a student he participated in human rights and disability activism organisations. 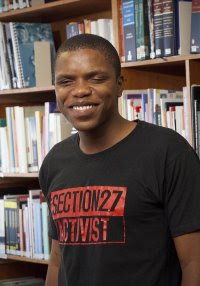 Silomo is passionate about constitutional law and public policy and hopes use a career in human rights law to assist in the transformation of South Africa. Silomo is totally blind. '(from the same source as photo).